We hope you're having a great holiday season! 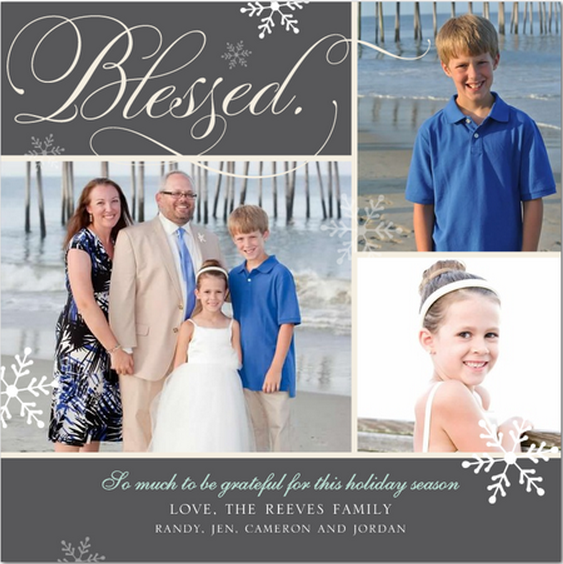 The Reeves holiday website is back! We continue to think this is the most fun way to reconnect with everyone we know across the country (and around the world). This year was filled with highs and lows and we're looking forward to sharing them with you here on this website. As usual, we offer this site as a replacement to the standard card you would find in the mail. If you'd like, feel free to download our holiday card and print it out to add to your collection. Or just enjoy the read. Either way, we'd love for you to consider leaving us a holiday message on the Your Messages page of this site. Hearing from you is the reason why we publish a website each year. This year included the loss of Randy's mom, Jone, and our beloved (yet stinky) pug, Bubba. But it also included an amazing summer of three weddings, huge road trips, tailgates, fundraisers and a big job change. The kids continue to grow and remain healthy. We honestly feel blessed. We have all kinds of stories to share with you. We'd love to hear yours as well! So don't forget to download our holiday card and leave a message with us. We've also included a new section this year called Memories. It's a way we're trying to give back in honor of our loved ones. We encourage you to stay in touch! You can find Randy via email, Facebook and Twitter. You can find Jen via email, Facebook, Twitter, Instagram, Google+ and just about anywhere else you can think of. We'd love to stay in touch! Created with love from the Reeves Family, Copyright 2012.